Fuel Capacity — 164 gal. 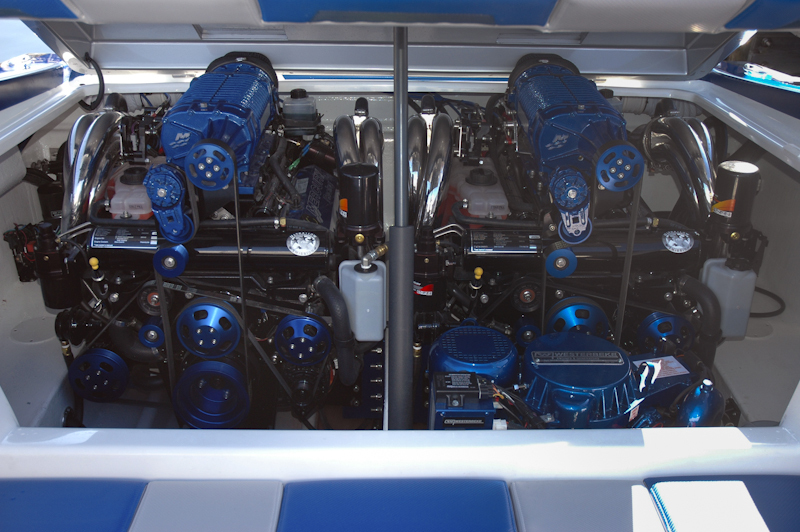 Race-proven offshore running was the testing grounds for the 37 Excess AVH. 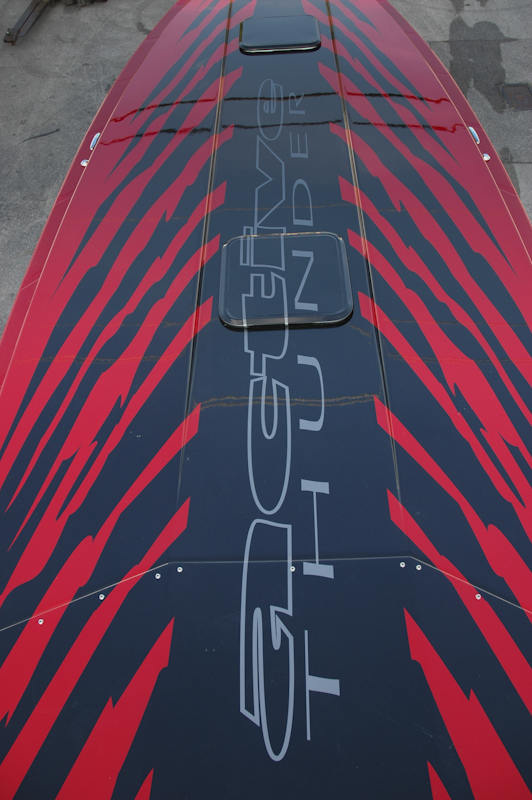 And when you get behind the wheel of a new Active Thunder 37 Excess you will understand it’s heritage and reputation of being the only patented hull design in the high performance market that has all the comforts of home with a one-of-a-kind ride! 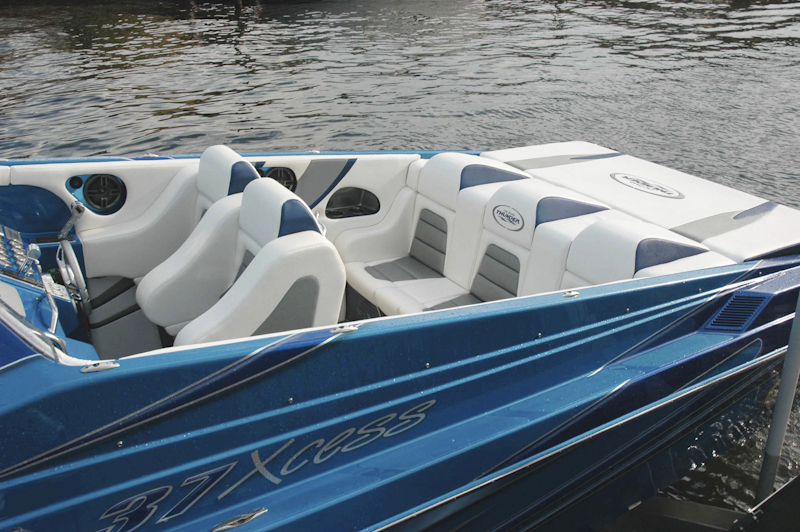 The 37 Excess amenities are second to none. 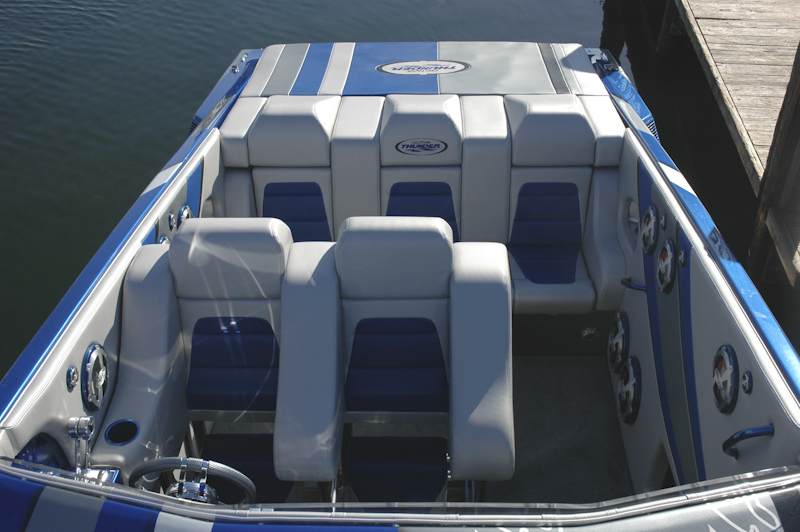 The plushest materials accent the cabin’s full inner liner. 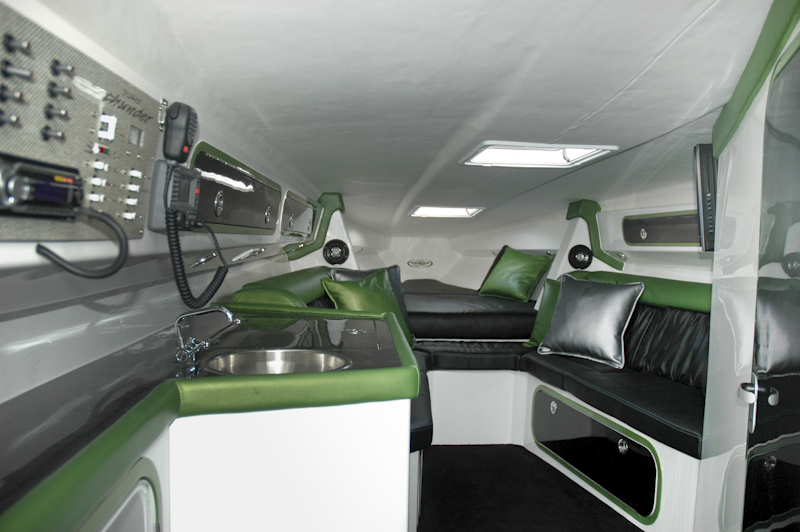 An enclosed stand-up head is to the starboard complete with electric-toilet, vanity sink and shower. 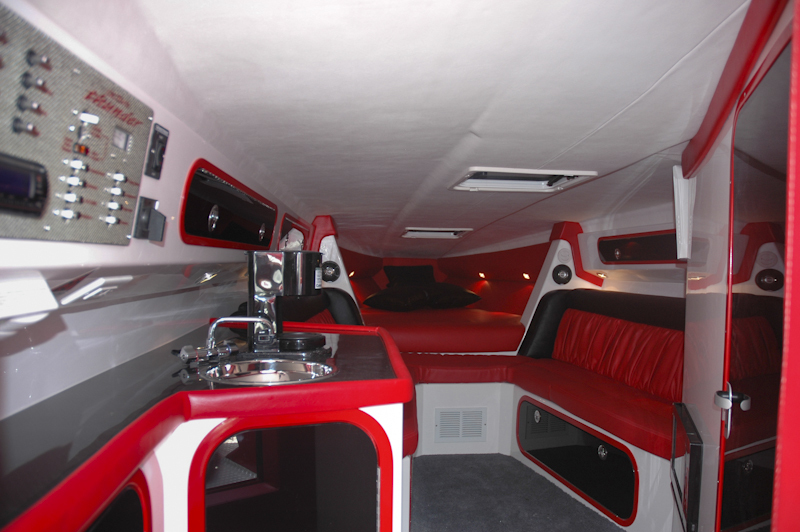 The 37 Excess amenities are second to none. 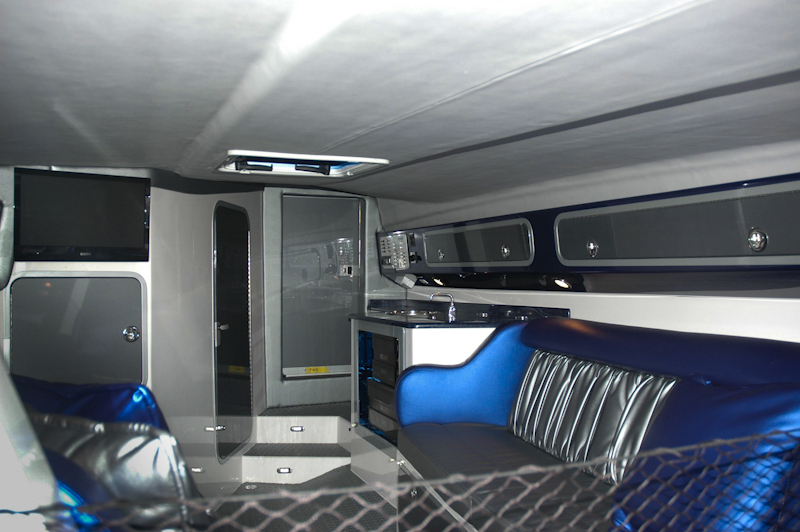 With optional climate control it is cooled and heated as well. 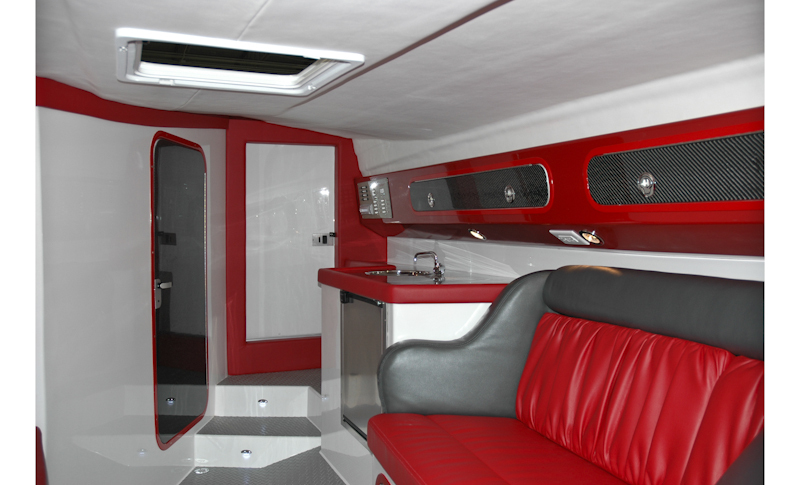 To the port is the galley with built-in cooler that will hold the weekend’s drinks and groceries. Our storage is second to none. You will be surprised the places we have found. 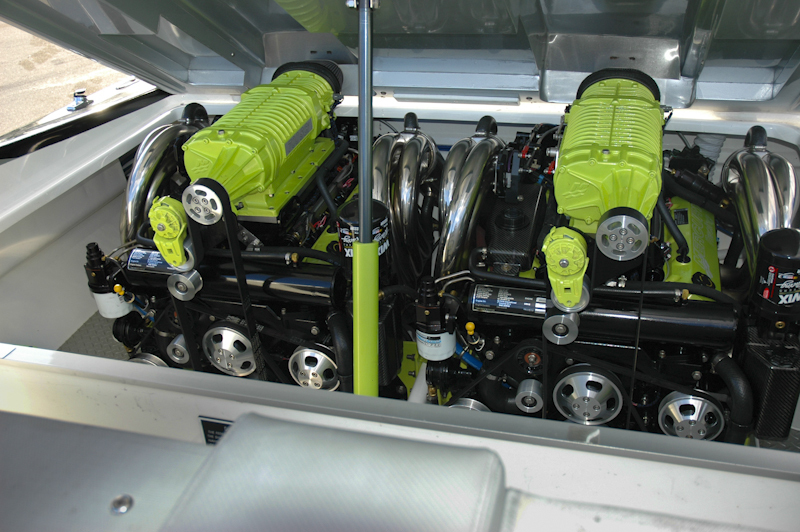 With standard twin Mercruiser HP 520 EFIs, there is enough power to cruise at a fuel-efficient 60 mph yet still being able to push up to the 80 when you need that adrenaline rush. 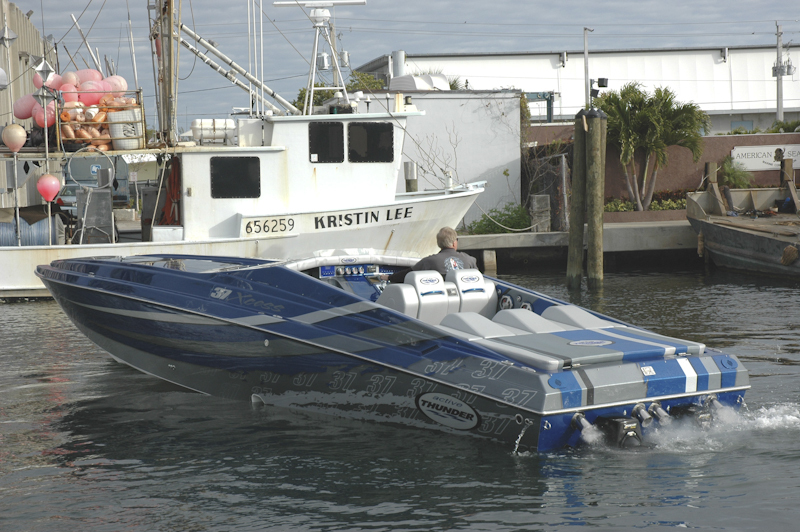 This 37 foot offshore performer has the most satisfying ride of any boat in it’s class. And with a great running attitude she comes down soft and controllable every time. 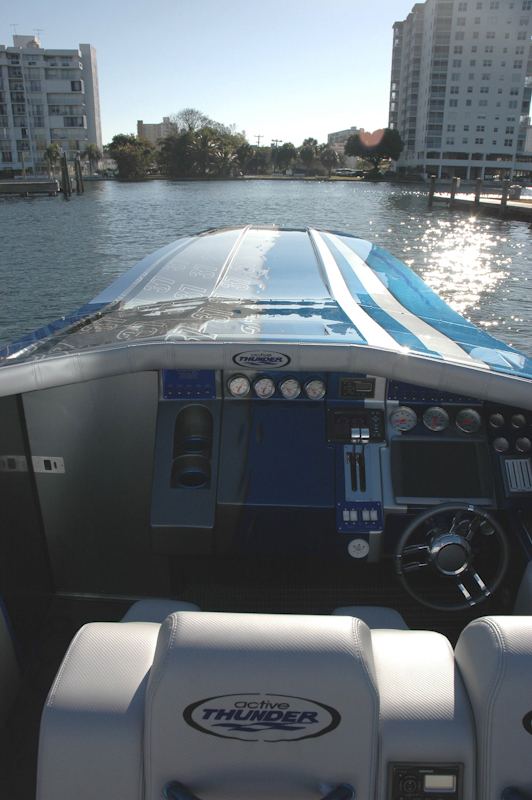 The cockpit is huge and deep giving you a total feeling of safety to go along with the ride. 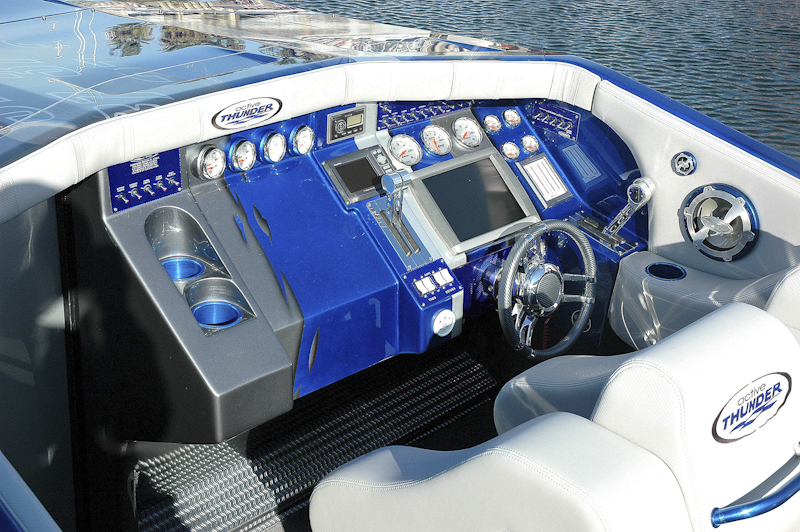 The large, side-entry dash houses all the instrumentation as well as your choice of a GPS. 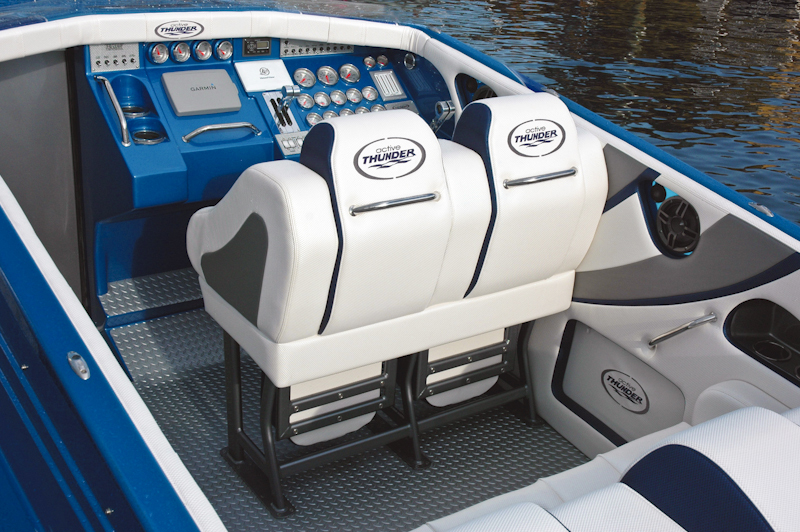 Dual drink holders and grab-bars, a molded 2 level foot rest and electric bolsters position you to go offshore in comfort. 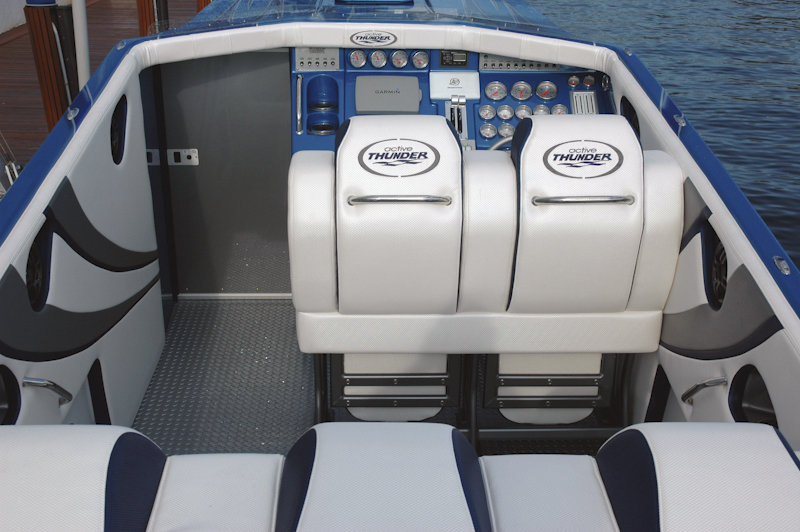 The engine hatch lifts the rear portion of the back seat to allow for easy access to the bilge and engines making service on the power and optional generator a breeze. Storage is plentiful in the cockpit combing panels and under the rear seat where you have plenty of room for stowing bumpers lines and an anchor. 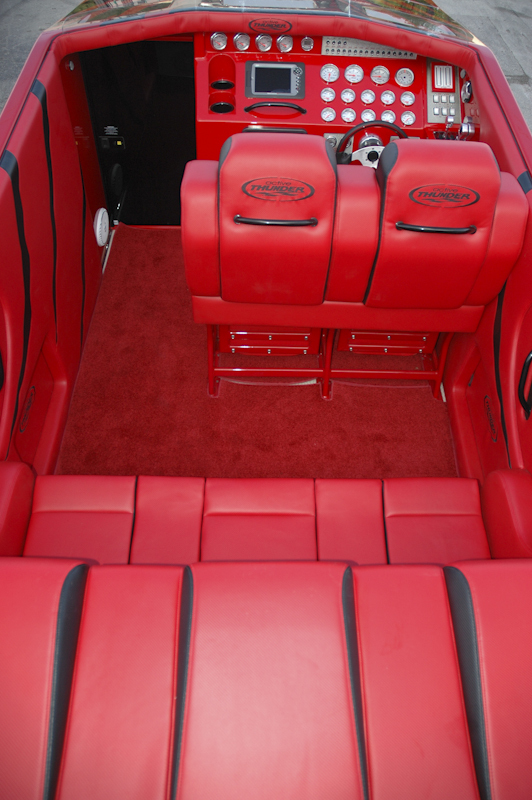 And with our full walk-around non- skid deck you have easy access to get up on the deck! 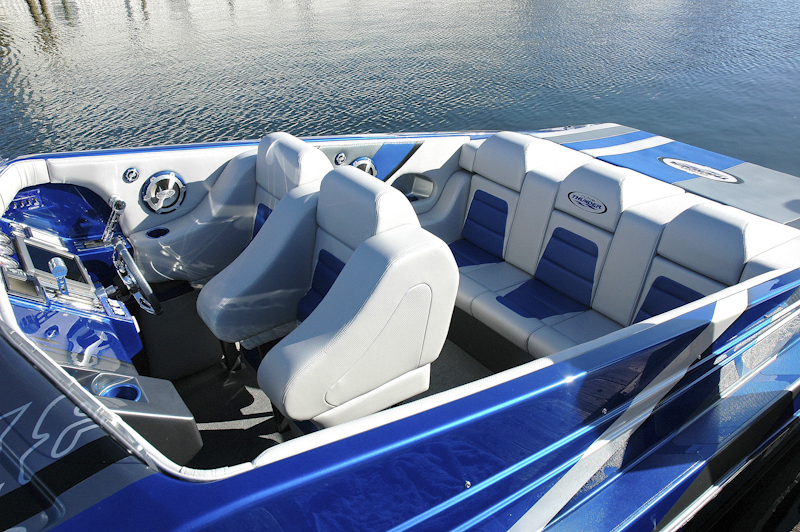 Just one ride will leave you knowing what a truly perfect boat feels like. 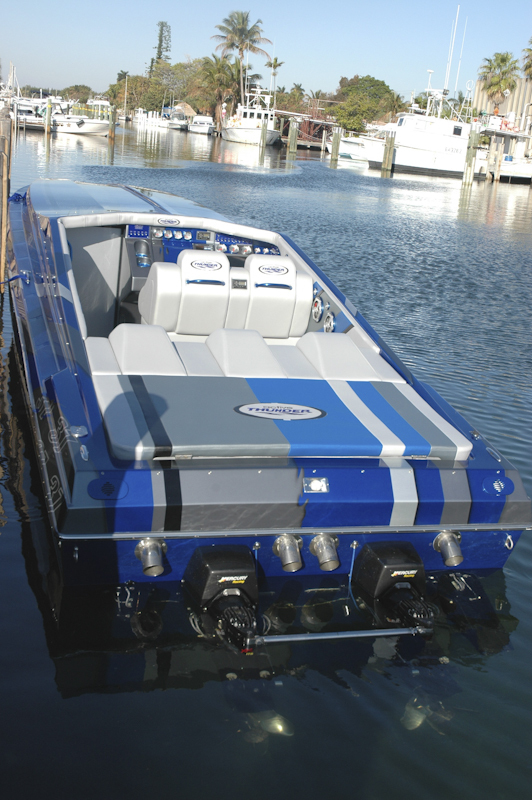 Just one ride will leave you knowing what a truly perfect boat feels like.The rock-solid construction utilizes full urethane composite stringers and transom. 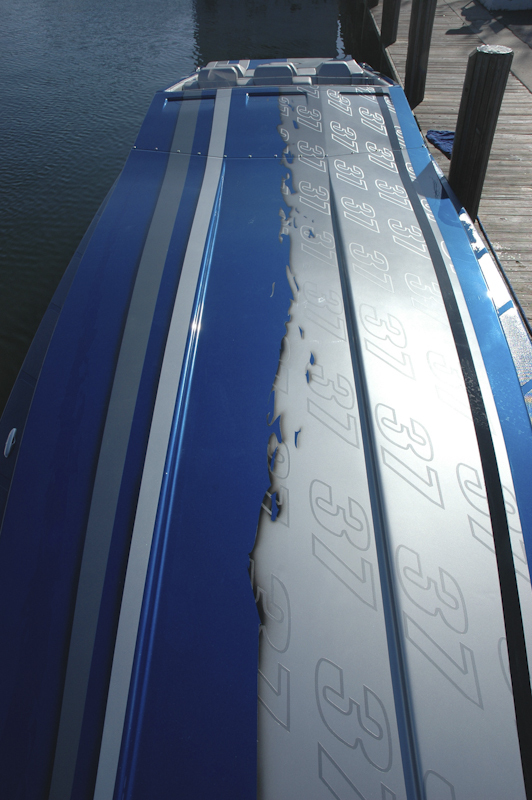 The hull and deck are carefully glassed together 180 degrees making a unibody construction that will never come apart. Pure vinylester resins, bi and tri-directional glasses and full vacuum bagging with Divinycell coring are the backbone of our build process. 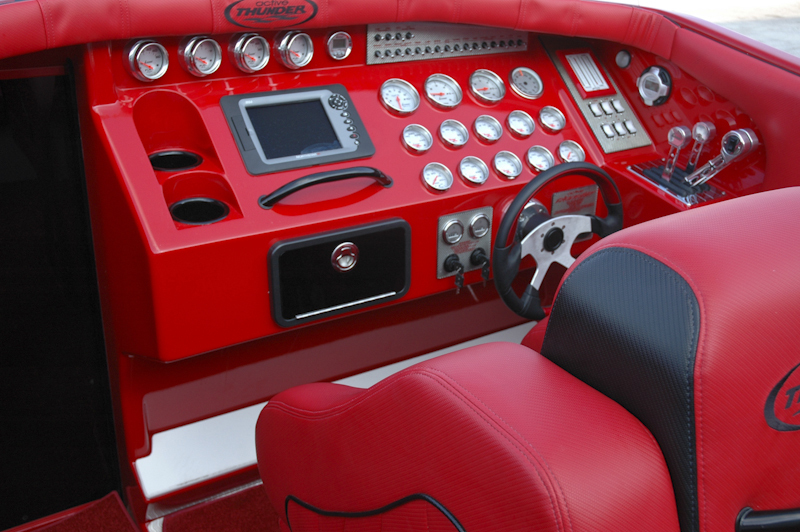 This combination of materials and technology is why we have an unsurpassed reputation with virtually no warranty issues and the ride you expect from an offshore boat! 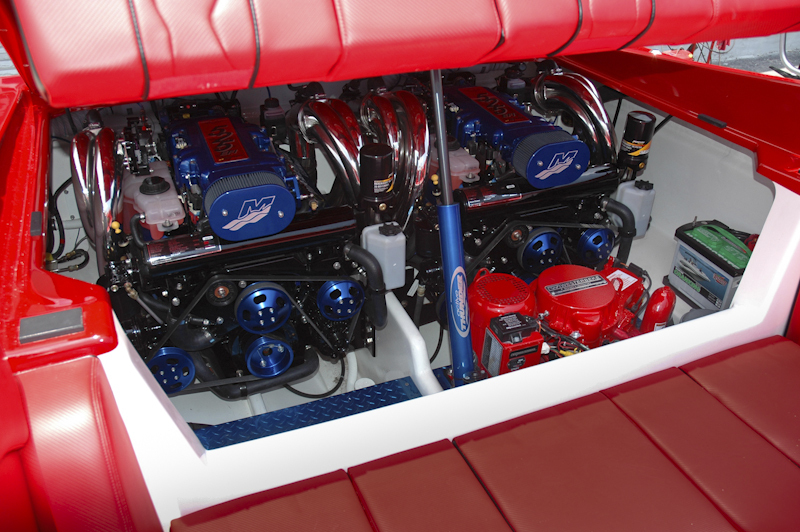 Fuel Capacity – 164 gal.